A quick post about a quick bread! Sorry, bad joke there. Anyway while it has been radio silence on the blog lately I have actually been cooking and baking a lot but never seeming to find the time to post. I do have a lot of things photographed that I will get to when I can. 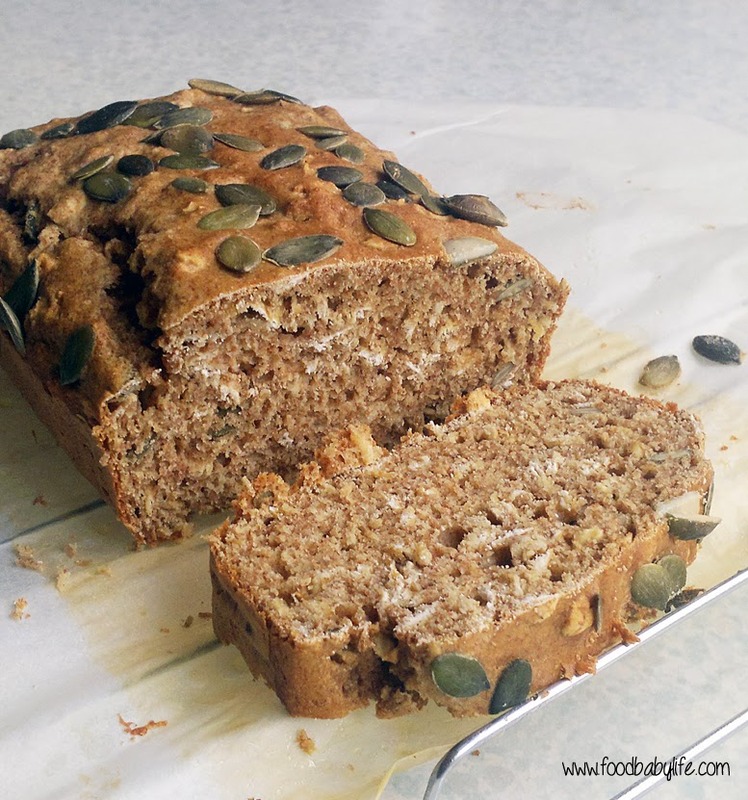 This morning though I wanted to bake something healthy for a late breakfast and stumbled across this quick bread. Just a handful of basic ingredients, 5 minutes to mix and 30 minutes later I was enjoying a few slices topped with natural peanut butter and a drizzle of rice malt syrup. The perfect Saturday breakfast. Preheat the oven to 200 degrees celsius. Line a loaf pan with baking paper and set aside. Place the vinegar in a 1 cup measure then fill with rice milk then allow to stand. Add the dry ingredients (but only half the pumpkin seeds) to a large bowl and stir together. Pour in the rice milk and vinegar and mix well to combine. Pour the mixture into the prepared tin, sprinkle the remaining seeds over the top and bake for 25-30 minutes or until a skewer comes out clean. Allow to cool for 5 minutes before turning out. Delicious served warm from the oven or you can slice, freeze and toast to enjoy another day.